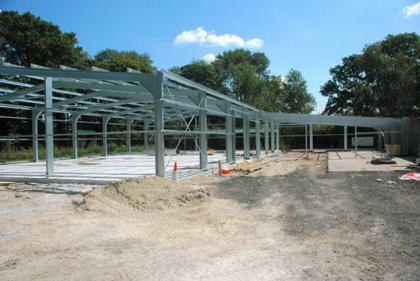 Get a FAST steel building quote or design help from Verified Steel Buildings and our network of selected suppliers by simply filling out the 2 step form below with as much information as you can about the type of steel building you are looking for. We check your requirements and put you in contact the most relevant suppliers in our network on your behalf. Steel Buildings - made simple! If you're looking to buy a new Steel Building or other steel-based construction, Verified Steel Buildings can help. Our mission is to make it as easy as possible to buy a new steel building. We have established a professional network of reputable steel building contractors and suppliers across the UK. We use our expertise to introduce you to the most relevant UK steel building designers and constructors for the type of steel building you're looking for. We save you time and money, so you can get the right building for your budget. Got a comment or query about steel buildings or steel building construction or any other questions about issues like planning permission, the type of foundations required, design, financing - you name it. You can add your question below and our experts will provide answers. Did you know? The first steel framed buildings in the UK are reputed to be the Ritz Hotel in London (erected in 1904), and Selfridges (completed in 1908).